Emma Wiker organized her third successful dog walk to benefit abused and neglected animals. For many preteens, summer is a time to relax, have fun with friends and enjoy the break from homework before school starts again. But for 12-year-old Emma Wiker, summer is the time to focus on her passion for helping animals in need and inspiring others in her community to do the same. 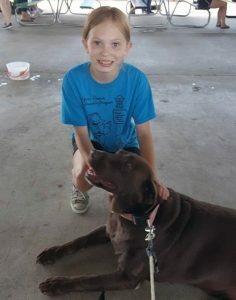 Three years ago, Emma started the Animal Abusive Protection Program to raise money for abused or abandoned animals in Menard County. She sells buttons and key chains and organizes a hugely popular annual dog walk in her in her hometown of Athens to benefit the program. 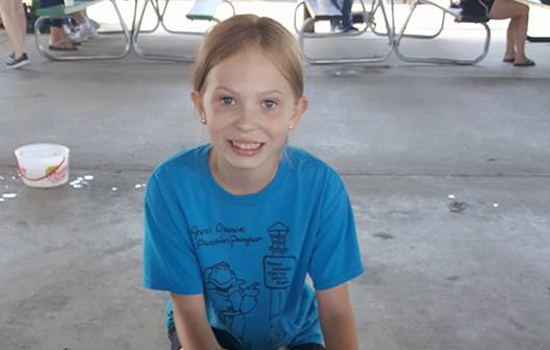 Emma also has a vocal cord dysfunction that impairs her ability to breath. She was wrongly diagnosed as asthmatic for most of her life and spent years suffering allergic reactions to unnecessary medications until 2016. She then became enrolled in the University of Illinois at Chicago’s Division of Specialized Care for Children (DSCC) program, which has helped her family communicate with Emma’s doctors and specialists and find medical providers that are covered by their insurance. Her mother, Violet, is a former Care Coordinator and now DSCC’s Family Liaison. Violet says Emma has always been determined and committed to helping others. She was inspired to start the dog walk after seeing a disturbing image of an abused dog that went viral on social media. Though she hasn’t reached her teen years yet, Emma handles all of the responsibilities of planning and coordinating the dog walk herself and has become a local celebrity. 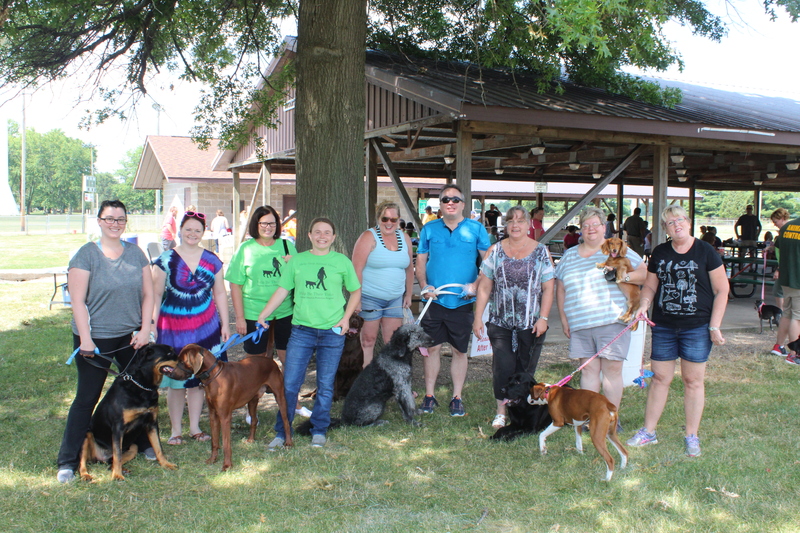 About 100 people attended this year’s third annual dog walk on July 15, raising more than $3,000 for Menard County Animal Control. (You can watch local news coverage of the event here. )Ten current and former DSCC staffers attended the dog walk with their pets to support Emma’s cause. “This is another perfect example of how DSCC staff go above and beyond to support each other,” Violet said. Emma is already looking forward to planning next year’s dog walk. You can read more about Emma’s efforts and how she got started with the Animal Abusive Protection Program here. DSCC staff and their pets attend Emma Wiker’s third annual dog walk in Athens to benefit Menard County Animal Control.